Here’s a panorama in broad strokes across the range of GNSSs, garnered from top system spokespersons at the Munich Satellite Navigation Summit. It’s been several years since breaking news was aired at this annual late winter/early spring event, but it’s always good for a wide-ranging update, recalibrating levels, so to speak. GPS. With 31 operational satellites (24 is baseline) and an estimated 3 billion receivers in use worldwide, what more needs to be said about the gold standard? Its best week ever for accuracy logged a signal-in-space performance average of 45.3 centimeter. The next-generation ground control system OCX “survived quite a struggle” and has emerged from Nunn-McCurdy breach, back on track and seemingly ready for future action. Or at least for future pre-certification tests. SV1 of the GPS III generation has completed all tests and is in storage, awaiting the first GPS III launch in spring 2018. SV02 and 03 are in assembly and integration, SV04 thru 08 are in box-level assembly, and 09 and 10 are on contract. Technical challenges with payload have been resolved. Galileo. With 18 on-orbit satellites (15 operational), the European GNSS can be termed a coming thing. Performance statistics are based on only 11 of these satellites however; the four most recently launched in November 2016 are not yet included. 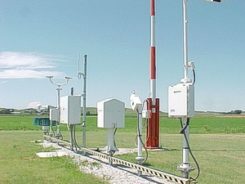 Nevertheless, the system is logging 80-centimeter ranging accuracy. Eight more await launch: four in 2017, and four in 2018. The constellation is broadcasting the Open Service, the Public Regulated Service, and the Search and Rescue (SAR) signal. The SAR service will officially launch in early April — on April 6, because 406 MHz is the Emergency Position Indicating Radio Beacon frequency. Galileo has improved the historic SAR location performance from 3 hours to 10 minutes. The Commercial Service is still in preparation, and will be available in 2020. Spoofing is seen as a very real threat to GNSS overall by the Galileo authorities, as exemplified by the recent bloom of amateur spoofers encouraged by Pokemon go. GLONASS. The Russian system will undertake three or four launches this year; one of them will be a triple-satellite launch. There have been several disruptions to efforts to decrease the offset between GLONASS system time and Universal Coordinated Time but the initiative perseveres. English versions of four system interface control documents (ICDs), to include the new CDMA signal, are promised for Q2 2017; Chinese versions are coming, too. Russian-language ICDs are available at glonass.aic.ru. BeiDou. With the addition of three new satellites in the past year, China’s system is enjoying improved system performance. Hydrogen clocks are succeeding rubidium clocks, bring an order-of-magnitude improvement in timing accuracy. A BeiDou white paper was published last June, and a revised ICD appeared in November. In the massive Chinese mass market, 30 percent of smartphones sold in China now have BeiDou capability; that’s out of a 700–800 million total. Huawei multi-function chip LX1101 is a key driver behind this. Unistrong has released a phone with RTCM input for professional use, blurring the line between mass and professional markets. ICG. The United Nations’ International Committee on Global Navigation Satellite Systems will meet in Japan in December of this year, in China next year, and in India in 2019. This can be interpreted as vigorous international interest and “a desire to advance and promote their respective systems’ visibility” worldwide. All pertinent documents can be found at unoosa.org. EGNOS. 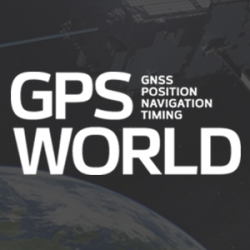 The European Geostationary Navigation Overlay Service has two operational geosynchronous Earth-orbit satellites (GEOs) in operation, plus one in test and one in deployment, ready to swap in. It is extending its Ranging and Integrity Monitoring Stations (RIMS) to several new countries, notably Israel and the Ukraine. EGNOS.v3 is coming and will introduce dual-frequency (L1 and L5) service, and also Galileo with GPS, for multi-constellation corrections. The new system’s qualification is planned for 2022. QZSS. This year, Japan’s Quasi-Zenith Satellite System will launch the second and third of the figure-eight inclined geosynchronous orbit (IGSO) satellites of the Michibiki type, to become operational in 2018. A GEO bird will also be launched. A seven-satellite system is the ultimate goal. (Click to enlarge.) Key features of the Galileo satellites. • Airbus announced a new concept for train positioning integrity: “virtual valises” to correct train position that will replace or augment current trackside valises that are very expensive to build and maintain. • Munich Aerospace (munich-aerospace.de), a public-private non-profit venture between DLR, the German space agency, Bauhaus Luftfahrt and two technical universities, will mount a Ph.D-level education and research program for 70 individuals, with candidates from 27 nations. This will be located in “the Bavarian Silicon Valley.” It will also undertake a global effort with several other organizations. • One of the above technical universities, the Federal Armed Forces University in Munich, announced that it is investigating Lidar for potential use in an asteroid mining project for future space exploration. It also has underway initiatives concerning Lidar + GNSS and inertial + GNSS for autonomous vehicles.